Do you think you might have a squirrel problem? We at Animal Wildlife Trackers want to make wildlife removal easy for you. 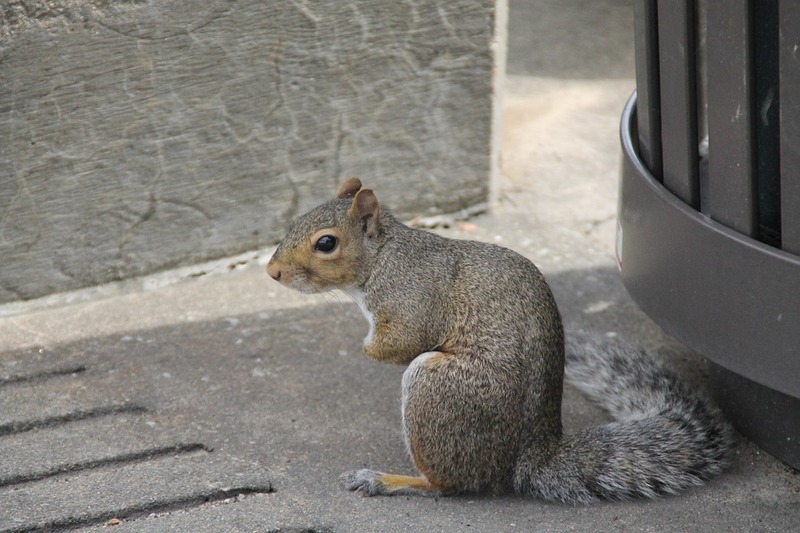 Below you will find some information to help you properly identify the common squirrels in the Chicagoland area, as well as some health or property risks commonly attributed to Squirrels. In the state of Illinois, there are 3 species of Tree Squirrels. All 3 species are small in size and are characterized by a long, bushy tail, prominent ears, and long hind feet, though each species has their own distinguished traits. 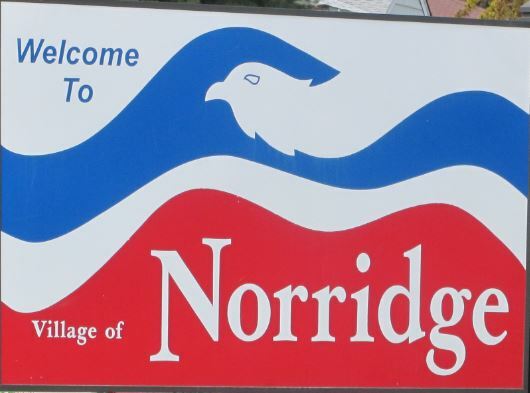 Learn more about each species of squirrel found in Illinois below. Notable physical traits: squirrels have 4 front teeth that NEVER stop growing. This is so that they don’t wear down from their constant gnawing and eating of rough materials like nuts. All 3 of the tree squirrels in Northern Illinois are commonly seen in woodlands, parks, and residential neighborhoods. As the name tree squirrel would suggest, they are terrific climbers. Each species can have up to 2 breeding seasons a year – one in the early spring, and one in the late summer. Lifespans are generally short in the wild. Most squirrels only live two to four years though that can greatly depend on predators and food availability. 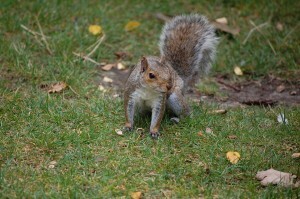 Most squirrels spend time on the ground in search of food such as nuts, plants, berries, and flowers. They also can eat insects and animals like, eggs, or baby birds. 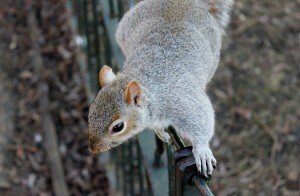 Many tree squirrels that live in urban areas have become talented dumpster and garbage raiders. 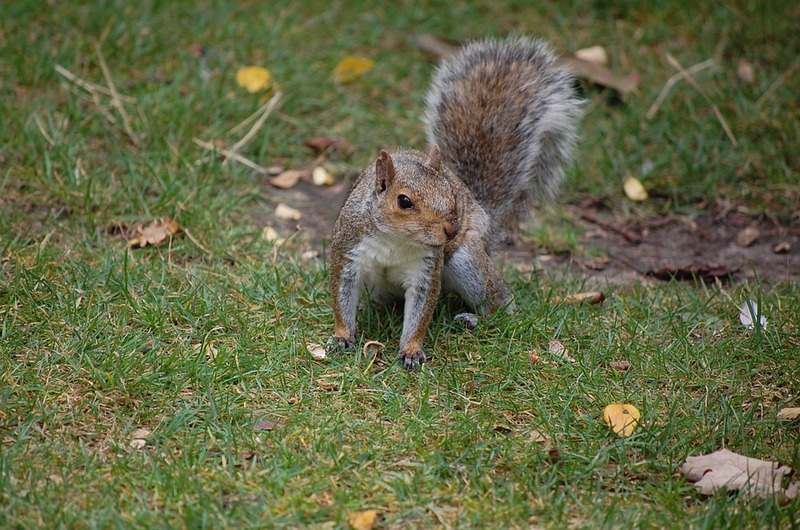 Squirrels might seem like harmless animals, as they usually run away when you approach. 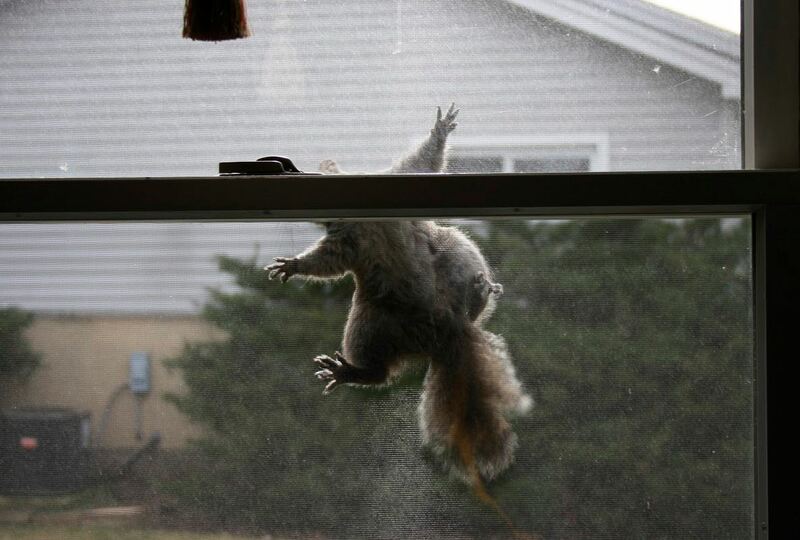 However, if a squirrel sets up residence in your home you’d be surprised by the amount of damage they can produce. 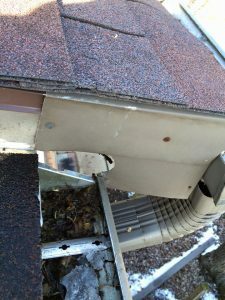 When squirrels gain access to your home, it is usually the result of them chewing a fist size hole in your roof, fascia, or soffit. 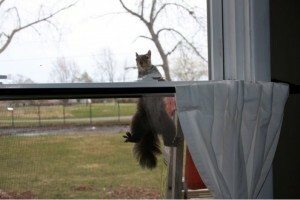 There are several ways for squirrels to get into your home and things you should look out for. If you have any low hanging branches over your home, this is a great way for squirrels to jump onto your roof. Once they have access to your roof, then they can either chew a new hole somewhere or find a vent that isn’t well screened. Attic fans and roof vents are the number one way that squirrels and raccoons get into homes. 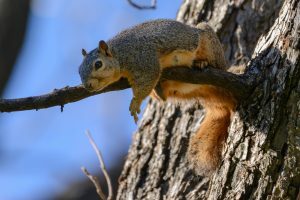 One sure-fire way to know you may have a squirrel living in your attic is the time of day that you are hearing noises. 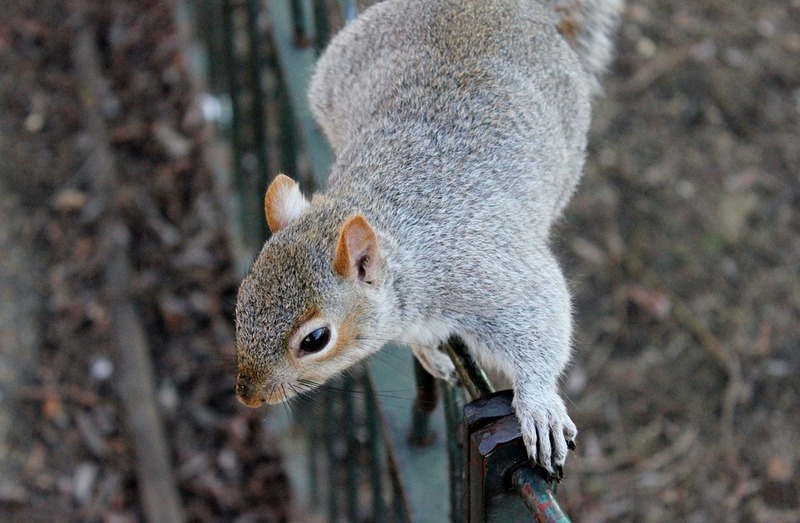 Typically squirrels are most active in your home from dawn to 10 am and again around sunset. 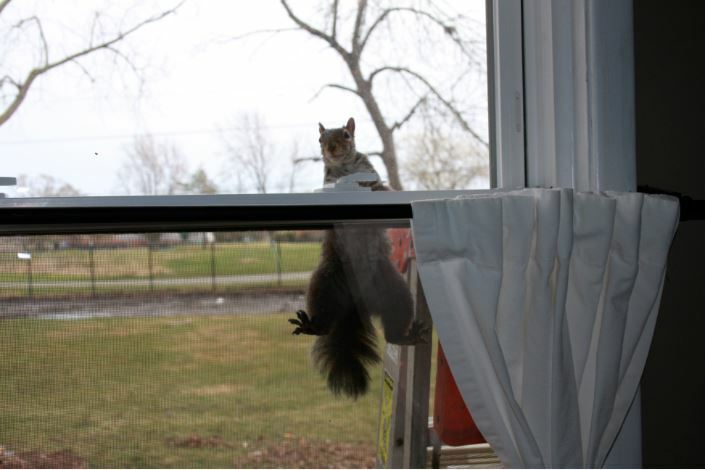 Squirrels are creatures of habit, and when you have one living with you, it is normally obvious. They will make the same noises every day at the same times, like clockwork. If you go outside and watch your home for the last hour before sunset, you can normally see the squirrels get closer to the nest and even see them go into the hole in your house. 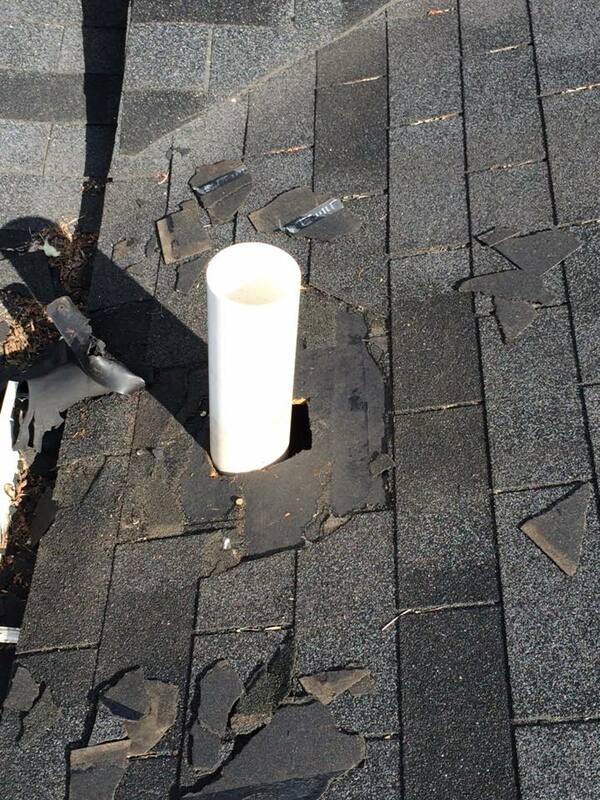 This can be very helpful to identify the area that will need to be repaired. You can try to trap and remove squirrels yourself, but you will need a license from the State of Illinois before handling or relocating them. However, the best method of removing a squirrel from your home is using a wildlife control expert. 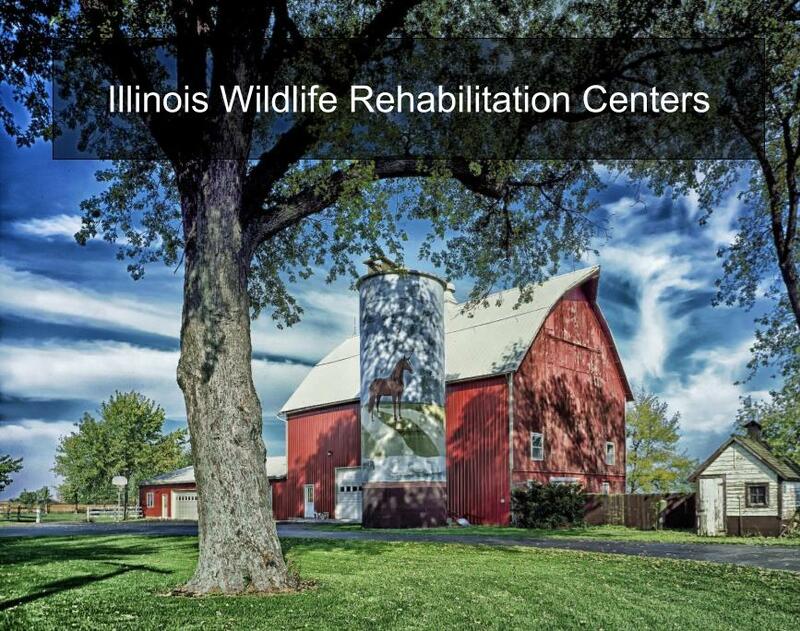 By using a professional animal removal specialist, you can rest assures that your wildlife problem is solved safely and properly.